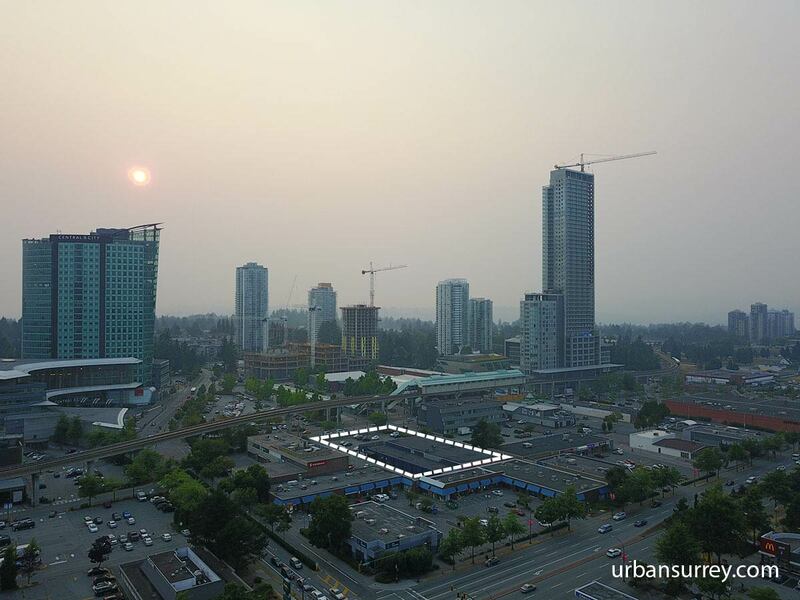 WestStone Group’s Evolve project has begun to pick up pace at 133 + 103A Ave. 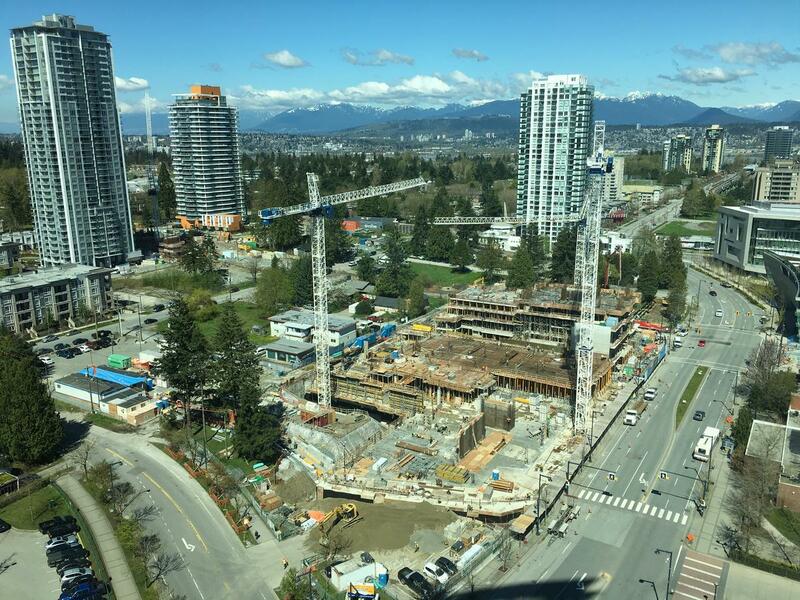 The main tower has now reached a height of 8 floors, with pouring set to begin on the 9th floor by the end of the week. 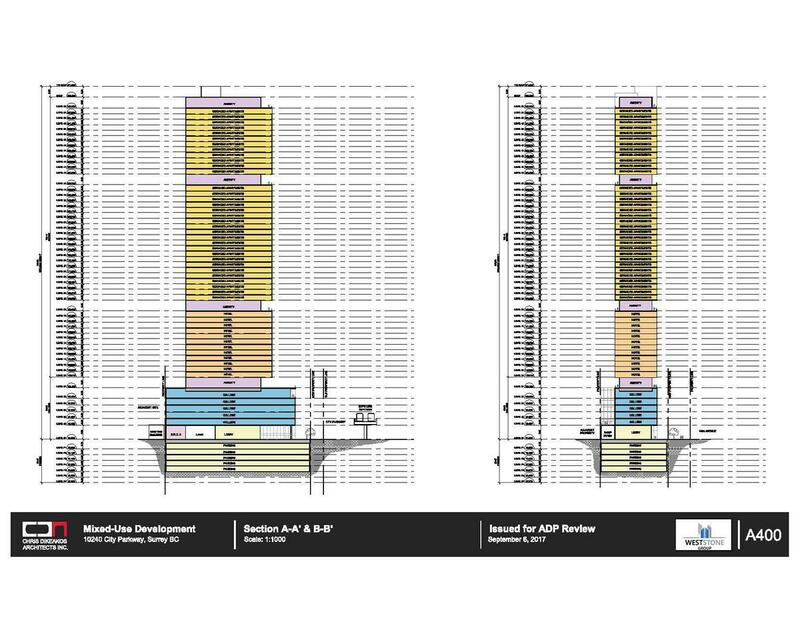 The 36-storey condo tower and accompanying 3-storey commercial building is phase 4 of the 8-phase West Village master planned neighbourhood being developed by WestStone Group. 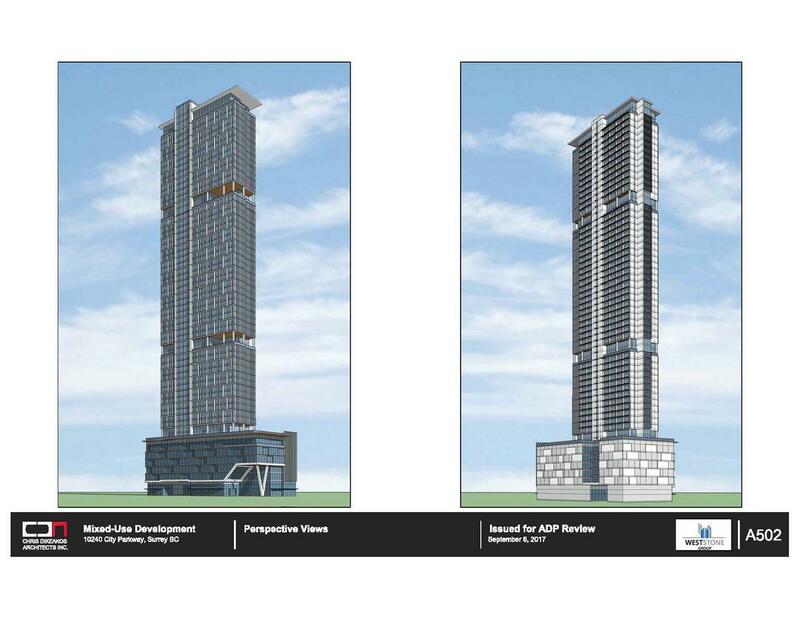 Phase 5, which will consist of a 44-storey rental tower above a 13-storey podium just east of Evolve, is expected to break ground later this year or early next. 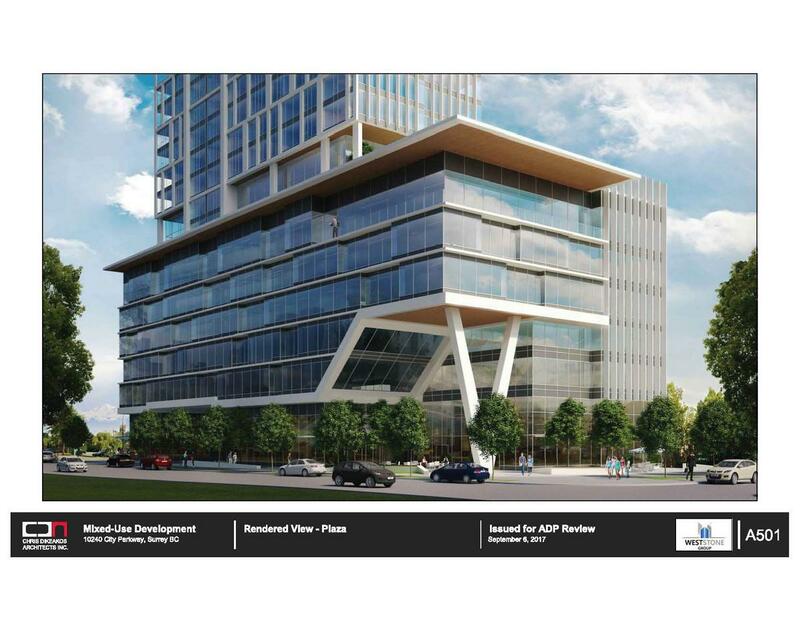 Across 133 St from Evolve work has also just begun on the new West Village Park & District Energy Centre, set to open in 2018. 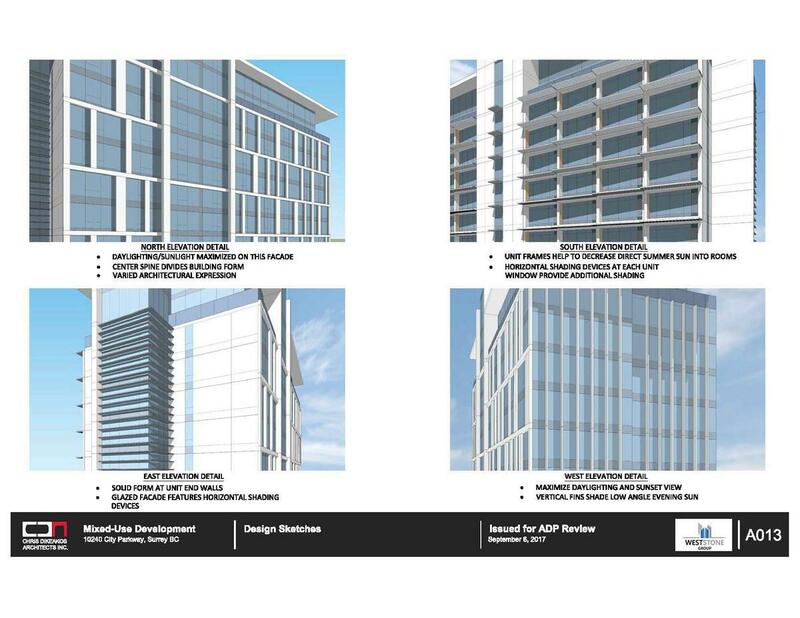 Further to news in January on the submission of a development application for WestStone Group’s next tower in West Village, more details have now surfaced showing changes to the original plan. 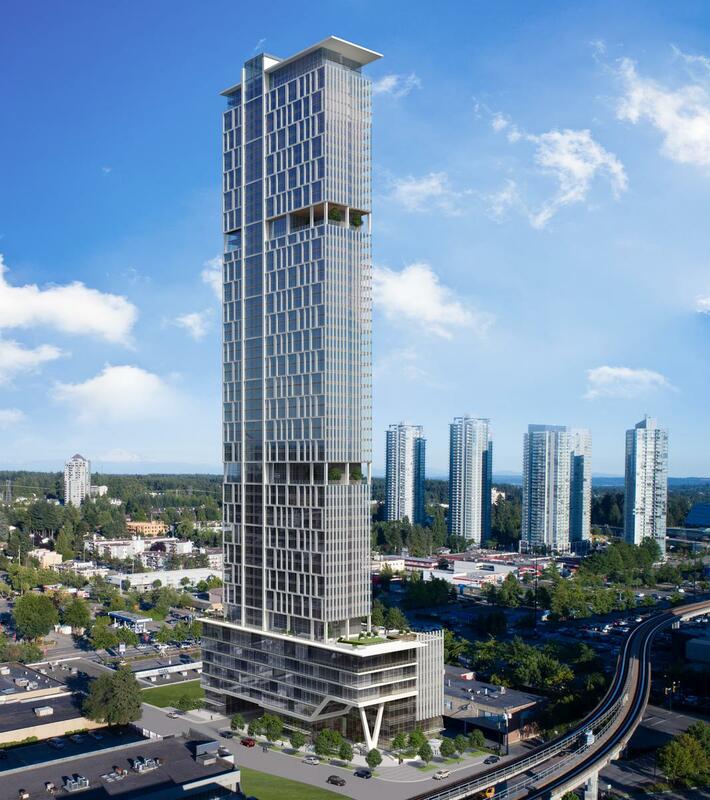 As per a recently released rendering of the project by Adessa Visuals, and application details from the City of Surrey, the project is now proposed as a 46-storey tower above a 14-storey podium. 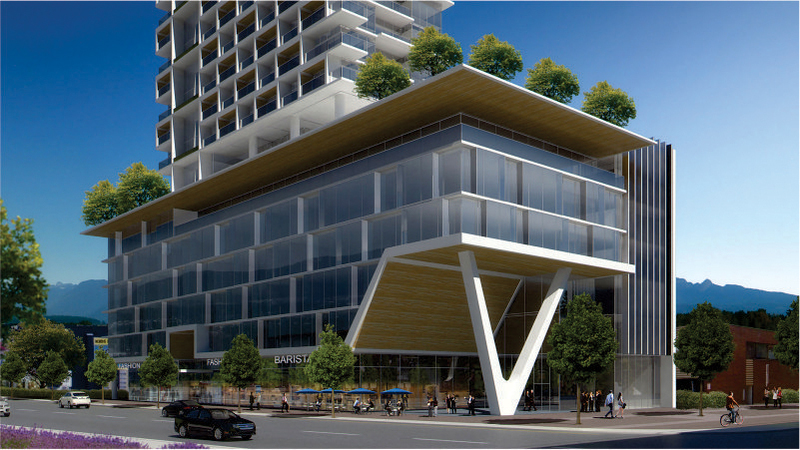 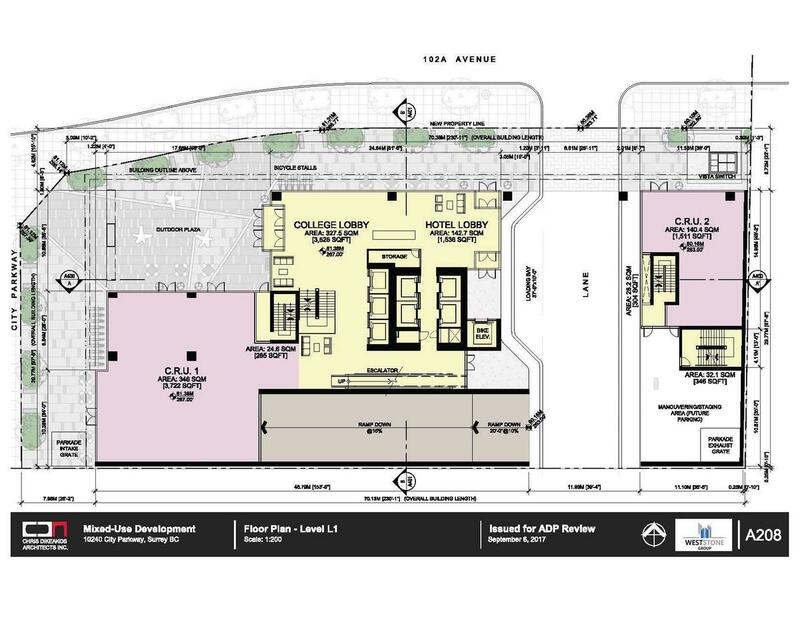 The significant massing of the project is a departure from early plans for the site, which showed a tower above a commercial/retail podium similar to the under construction Evolve next door. 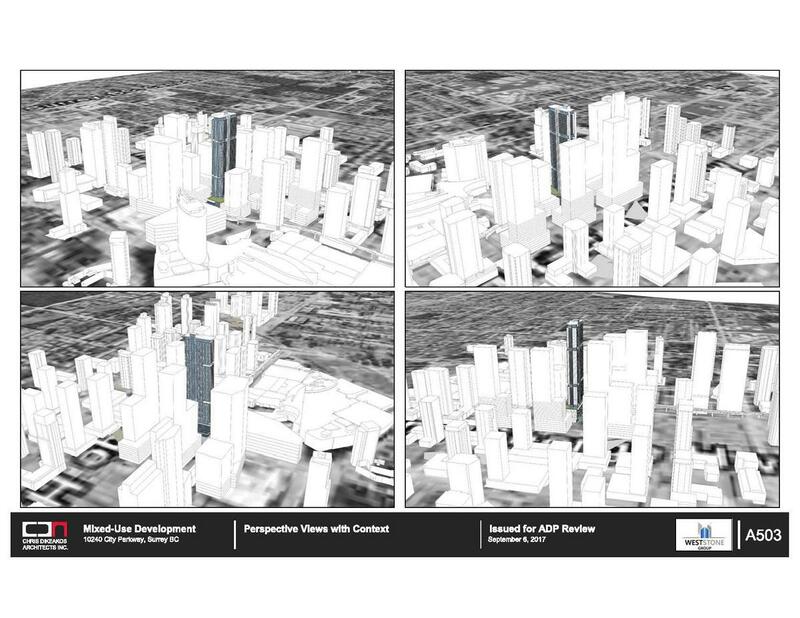 Early plans also showed a small plaza/park space on the southern portion of the site, which has now been replaced by the 14-storey podium, covering the entire site. 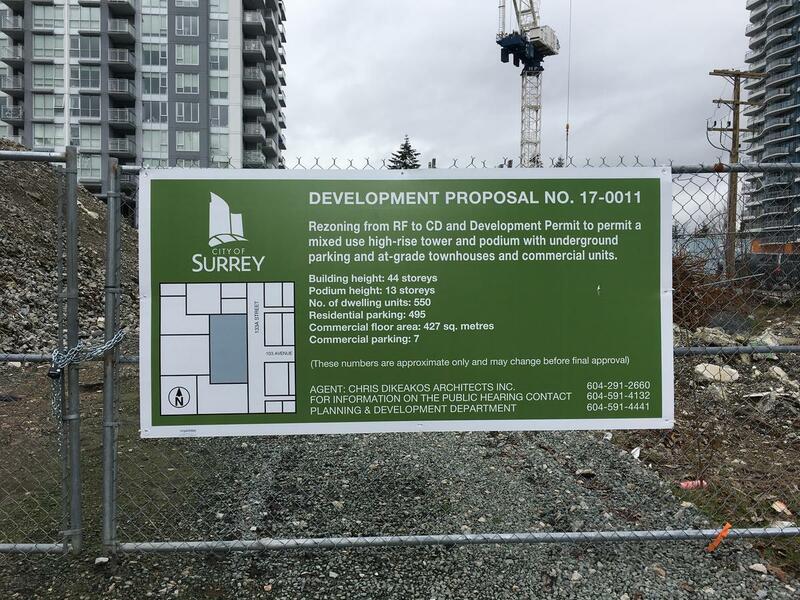 The scale of the project, designed by Vancouver-based Chris Dikeakos Architects is set to further transform the growing West Village neighbourhood to the west of Surrey Central Station. 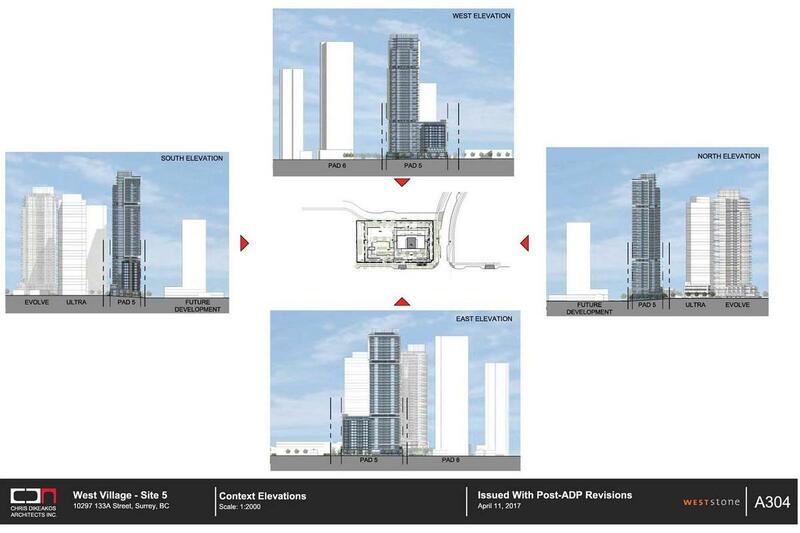 This latest tower is Phase 5 of an eventual 8 Phase project. 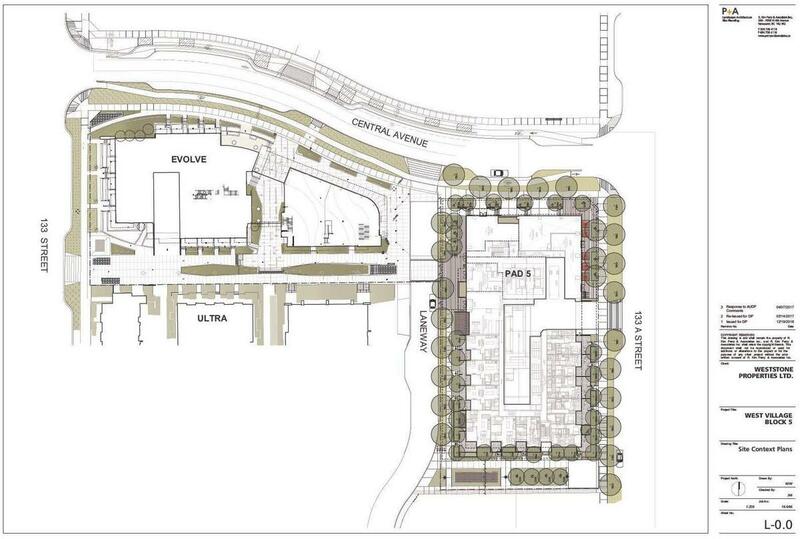 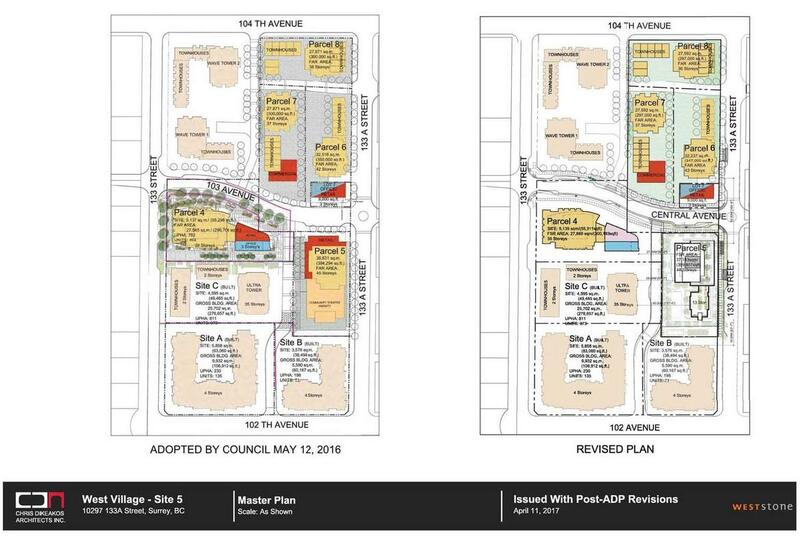 West Village Plan showing previous plan for site on Parcel 5 with the park now replaced by a 14-storey podium.